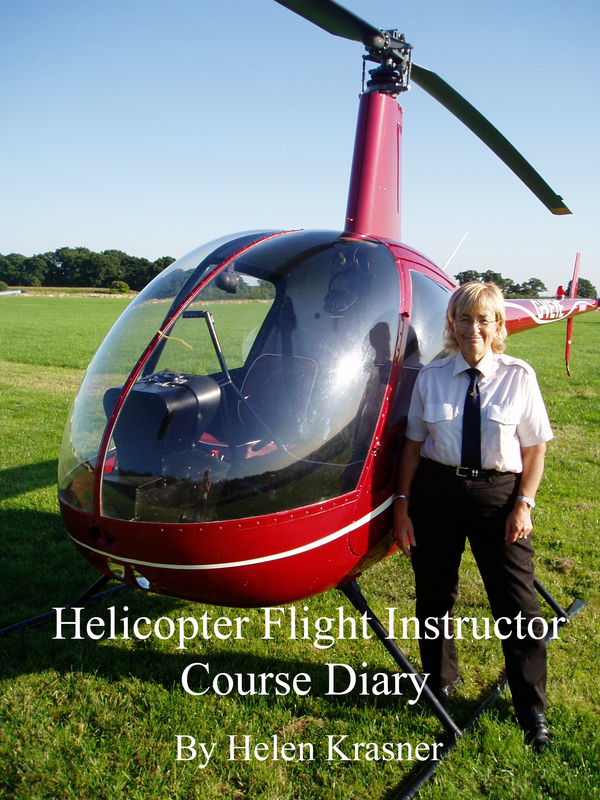 At the beginning of 2003, I arranged to do a five week intensive flying course to become a helicopter flying instructor. It was all arranged in rather a hurry – the instructor had another student and was ready to start now, and asked if I could join that course. Helicopter instructor courses are few and far between, so I agreed. But it wasn’t easy for me. I barely had the required flying experience, and I needed to make hurried domestic arrangements, in particular finding someone to look after my much-loved cats for five weeks Then I had to drive 200 miles to the airfield where the course would be held to arrange accommodation etc. But I was keen to start, so I arranged it all. I also offered to write a regular diary about the course on the forums of a well known aviation website. And I did this, keeping it up until the end of the course. That diary became amazingly popular. Readers found that it provided not only useful details about how a rotary flying instructor course worked, but also fascinating insights into my life. I was completely honest when writing, and when I was finding things hard (which was frequently), I told my diary….and my ever increasing numbers of readers. This was the case right up to the somewhat unexpected conclusion. I have now published that diary as an ebook. How did this happen? Well, after the course I eventually began to work as a flying instructor, as originally planned, and my life moved on. For a long time I actually hoped that the diary would quietly die. But every so often different people would find that thread on the website, and a new generation of pilots and helicopter enthusiasts would tell me how useful it was. At first I was annoyed, but gradually I stopped caring. And now, after many years, I can see how useful that old diary of mine could be, not only to those contemplating doing the flight instructor course, but indeed to anyone attempting something difficult, demanding, and supremely important to them. It is, perhaps, a good lesson in coping with difficulty, disappointment, and the problems of life in general. That, then, is why I decided to publish my instructor course diary. It has been left almost exactly as I wrote it all those years ago, with just a few alterations and additions for clarity. It is about 9,000 words in length, and can be bought here.